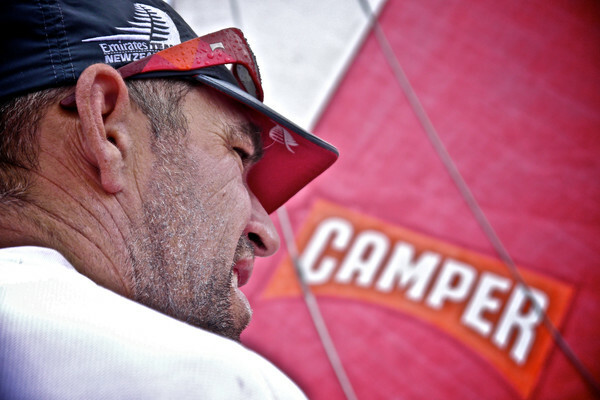 With around 2,000 miles to the Leg Six finish in Miami, the crew of CAMPER with Emirates Team New Zealand is pulling no punches as it engages in hand-to-hand combat with two of its Volvo Ocean Race rivals in the Atlantic Ocean. At 1200 UTC today (Tuesday) the latest position report revealed less than 11 nautical miles separates the leading trio with leg leader Puma followed closely by CAMPER in second place and Telefonica in third. The three boats are continually within sight of each other in a compelling tussle, and the crews are closely monitoring every weather update to decide on sail combinations. CAMPER has avoided the worst of the Doldrums’ wind holes to overtake Telefonica and cut Puma’s leg lead to just 6.5 nm in an amazing burst of speed in challenging conditions that surpassed all expectations. 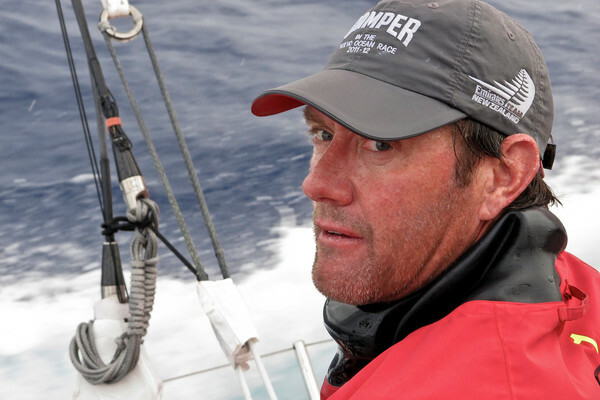 “Somewhat bizarrely our best 24-hour run for this leg maybe across the Doldrums; so far we have done 428 in the last 24 hours. Here’s hoping it lasts until we get through into the trades again,” said CAMPER navigator Will Oxley. However, with average wind speeds dramatically dropping to below four knots, the progress of the leading trio has stalled and the game of cat-and-mouse is set to continue.Oxley insisted his team would not be too distracted by the close attention of Puma and Telefonica and would very much be focusing on themselves and their own performances. 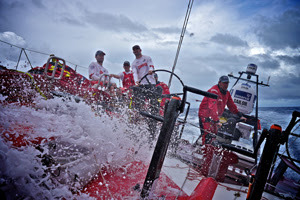 “At this point all you can do is sail the course that you believe in, we’re not trying to cover any of the other boats. We just trying to stay on a course that will get us there as quick as possible,” he said. Oxley said he was delighted to be challenging near the front as they look to win a leg for the first time in this race. 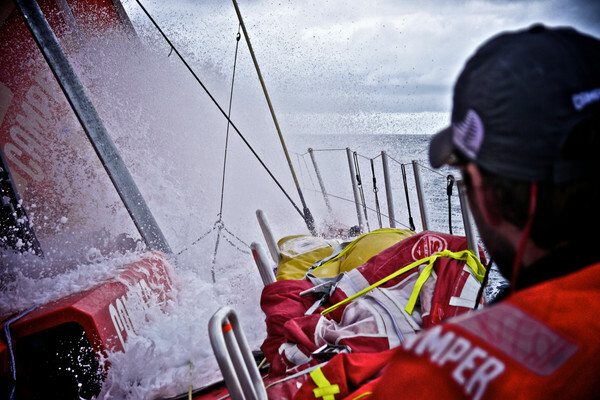 “Thankfully we are having conditions in which the boat is really strong, and that’s great,” he said. Media crew member Hamish Hooper predicted a long night ahead as CAMPER looks to pounce on Puma. “Our fingers are most firmly crossed that we can make it through these Doldrums and into the trade winds again unscathed and in front,” he said. 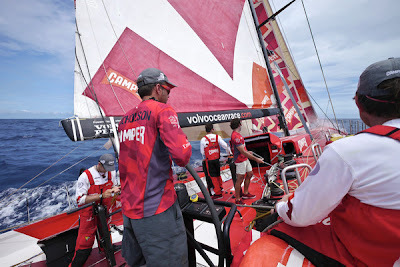 “For this to happen it will be a long night for the guys spotting clouds, and squalls, changing sails and maximising speed whenever we can. At the 1300 UTC report the gap between the top three is a mere 2.8nm.